Nonprofit and educational vertical markets. No annual license or renewal fees, percentage take to use the software. 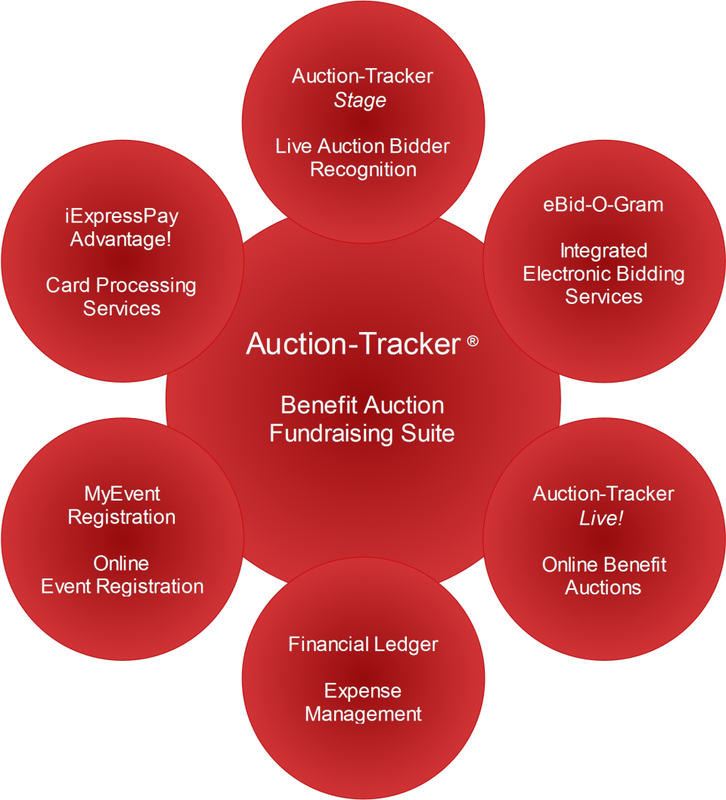 Auction-Tracker v7.00 - The pioneering and leading fundraising benefit auction management application since 1992! Auction-Tracker is the only application that provides a proven "balanced" approach to benefit auction management in one application. We make it possible for you to easily manage live and silent auctions as well as other highly successful zero-dollar cost, time tested gala fundraising opportunities. 10's of thousands of events successfully managed in the US, Canada and Australia. Pros: Lots of reports with tons of information. Very easy to use. Post event dashboard was helpful. Great at tracking guest information. Cons: we used a desktop version on a server for over 10 years and were told that there was just too much data to be able to make the information available for an online version. we did try the cloud based version for one year but it proved very difficult to use so we had to switch back. Overall: Auction Tracker was good while it lasted, i liked the ease of everything and how well it tracked. the reports it had available were always very helpful. After many years of using this program our company finally decided to move towards a site capable of online and mobile bidding. Comments: The software has a central database so we can access all guests, sponsors and donors in future events. A web based option is available for our volunteers to assist in data entry. Love the packaging function when we need to combine items for the auction. On line Registration makes it easy to download reservations, sponsorships and donations. Lots of reports to choose from makes it easy to keep our committee up to date.